Breckenridge “Breck” Bayes is both a telepath and teleporter. And it his last gift that brought him to the attention of a demon in search of an object. Normally Breck would have said no but nothing in Breck’s world was normal at the moment. His kid sister is dying of cancer and there is nothing the doctors can do for her. But if Breck agrees to work for the demon, then his sister will be cured. But the demon’s demands keep growing and each time Breck fails, the demon makes his sister sick again. Breck is desperate to finish their deal but he can’t find the object the demon wants and he is getting desperate. Manny Oliveira, owner and operator of the bookstore the Grove, is a seer and Sentinel. So it makes perfect sense that when someone sees a man teleport in and out of a local shop, the first one they report it to is Manny. When Manny chases Breck down mid robbery, Breck’s explanations for his thefts tug at Manny’s heart. Manny understands totally about family and love for the youngest members. So he decides to help Breck get free of his obligation while leaving his sister healthy, a huge undertaking and one he is not prepared for. Because the demon Breck is working for wants Manny’s talents as well. With both men in trouble and a demon holding them in peril, what happens when you add love to an already unstable mixture? 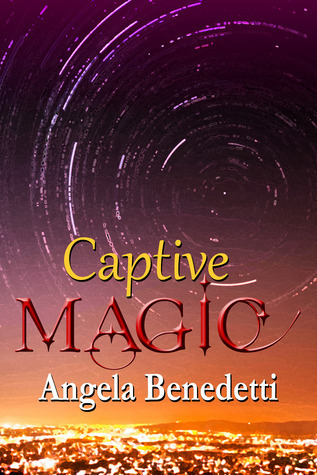 Captive Magic is the first book I have read by author Angela Benedetti so I was unaware that it was the third book in a series that is five stories deep including this one (see list below). I found out about the series after the fact and that explained some of the lack of back history associated with Captive Magic and the Sentinel group. Clearly the author has provided the Sentinel backgrounds in previous books (or so I assume). So I am going to exclude that issue from my review except to say I wish that a minor recap had been given and continue on as though it is a stand alone. I did find much to admire about Captive Magic on its own terms. 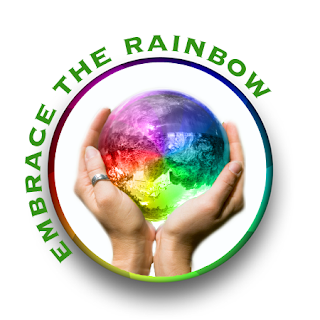 Angela Benedetti has a marvelous imagination and ability to craft an ingenious story plot. Captive Magic combines those elements with terrific and appealing characters and you have the makings of a great story and certainly a series. I found all the characters here, with the exception of the “demon” likable, realistic, and certainly capable of holding their own against the weight of the wild elements found within this story. Benedetti supplies both men with heartwarming and recognizable families, from the heartbreaking Amanda, Breck’s sister, who is dealing with her cancer and the strain upon her family, to the bright, and incorrigible Anita, Manny’s niece, and Amanda’s healthy opposite. “Manda” especially tugs on our heart strings with her brave but realistically tough outlook on her illness and her future. Breck’s mother, weary, strained, and doing what is necessary to keep her family together is a portrait of a mother under incredible pressure and the fractures are beginning to show. By placing both men within a strong, and loving family structure, Benedetti makes us understand Breck’s agreement and subsequent stealing. When forced to choose between a child’s life and a theft of an object,, who wouldn’t choose the child, especially when the medical world has failed her? Less successful is her choice to have Manny assist Breck on his own, without any help from the other Sentinels. Sentinels, who (by the events that occur later in the story), are clearly better equipped to have handled this situation as a group. Manny has this whole cadre of magic users at his disposal. One even asks him at the beginning what is going on “with the teleporter” but Manny lies about his knowledge and involvement. For no discernible reason other than the author needed him to do so for her plot to work. At one point in the story Breck tells Manny “this is pointless” and so it is. With so many other incredible elements here, why would you not have a better, more reasonable, more logical explanation for Manny’s actions then the nonexistent one Benedetti supplies the reader and Manny with. This is a huge missed step, one of several that pulls the story (and the story’s ratings) downward. The passages wandered all over, around corners, up and down slopes, through doorways and in and out of huge rooms or caverns or whatever. Breck never spotted an obvious light source; it was like the photons were just sort of bouncing around at random, keeping everything generally lit, with no shadows and no bright spots. It was like a maze full of water; water didn’t pile up in one place or leave a hole someplace else, and the light was behaving the same way. It was weird. They climbed over a raised lintel, sort of like the hatchways on ships, and into a medium-sized cavern. There was a cluster of… sculptures? growing out of the wall to the left, or maybe they’d been stuck there for some reason? Breck hauled Manny over so they could get a look. The more she describes it the weirder it gets. And that’s great because if we are confused it helps us understand what the characters are feeling as they stumble through the passages in this dimension. But then it becomes too much of a good thing, as they start popping in and out of the action, most of which is occurring back in their original world. Soon all the little details the author used to embellish this dimension and her story start to bog down the narrative and disconnect the reader from the characters and their mission. You know the story is in trouble when one character is left to sit on the floor while the other “pops” out to confront the demon and the pov stays with the person on the floor, whiling away the time until the other man reappears to explain things. At this point several things have occurred to undercut the momentum of the story and the anticipation that the author has built up. The readers never really get their “aha” moment with the so called “demon”, that just kind of melts away, undeserving of the huge buildup of “dark, nauseating” descriptions of what it feels like when they interact with the demon and its demands. It’s almost like getting Pooh Bear under the sheet instead of Freddy Kreuger. Instead of giving the first part of her story its due with a satisfactory conclusion, the author manufactures a secondary trauma and expends all her energies and exposition on it, another miscalculation in my opinion. 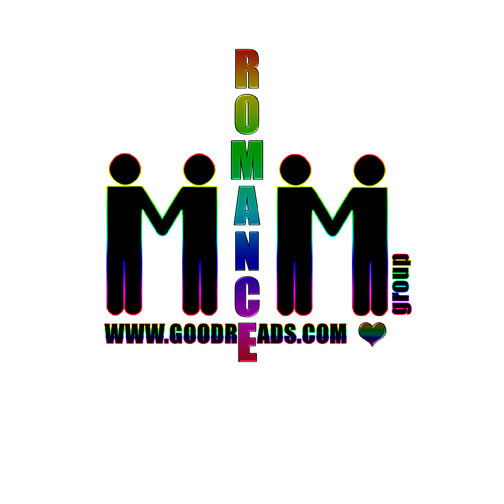 Mixed in with everything else that is going on is a “instant love” story that lacking a believable romantic time frame gets it own jump start that once again asks that the reader suspend their disbelief and accept the author’s explanations for a deep and abiding love between Manny and Breck. Unfortunately this is not the first time the author has called on the reader’s goodwill and ability to believe in her story and then treated that gift somewhat shabbily. Towards the end of the story, Manny (and Breck) easily accepts the aid of the other Sentinels, the same aid he rejected at the beginning, with no reasonable shift in attitude. For the reader to have accepted Manny’s lying and avoidance of any assistance from his other Sentinels, the author would have had to supply a better justification than the shallow ones given. In the end, all the great characterizations, wonderfully inventive world building, and catchy dialog have a hard time surmounting the detail overkill, as well as a story that bogs down under its own cleverness and abundance of plots. In fact Benedetti’s inability to bring the major plot to a satisfactory close, sacrificing it to put into motion another more angst driven secondary story line is such a huge error, in my opinion, that it almost negates the goodwill and expectations that came before. Even with all my frustrations and issues with Captive Magic, I will still recommend it with reervations. If you are a fan of the series and Angela Benedetti,, I know you will want to pick this one up. If you are a fan of fantasy and the paranormal, then this has enough terrific elements to make it worth reading. But if you are in it just for the romance alone, then this is probably not the book for you. Cover illustration by BSClay is a marvel, perfect for the story. This entry was posted in Book Reviews, Books, eBooks, Fantasy, LGBTQ Book Reviews, M/M Book Reviews, M/M Fiction, M/M Paranormal Fiction, M/M Romance, M/M Supernatural Fiction, Science Fiction, Supernatural, Torquere Books, Uncategorized and tagged Angela Benedetti, angst, Captive Magic, Captive Magic (Sentinels #3) by Angela Benedetti, gay paranormals, gay telepaths in fiction, great world building, m/m paranormal fiction, m/m paranormal romance, m/m paranormal series, recommended with reservations, seers, Sentinels series, telepaths, teleporters.